Another factor that can begin this process is schisosomiasis, which is a tropical disease that affects the urinary system. A frequent history of urinary tract infections debilitates the cells and tissues in these areas. Symptoms that can be observed are blood in the urine, pain in these areas, burning during or right after urination, and an increased frequency of urination. 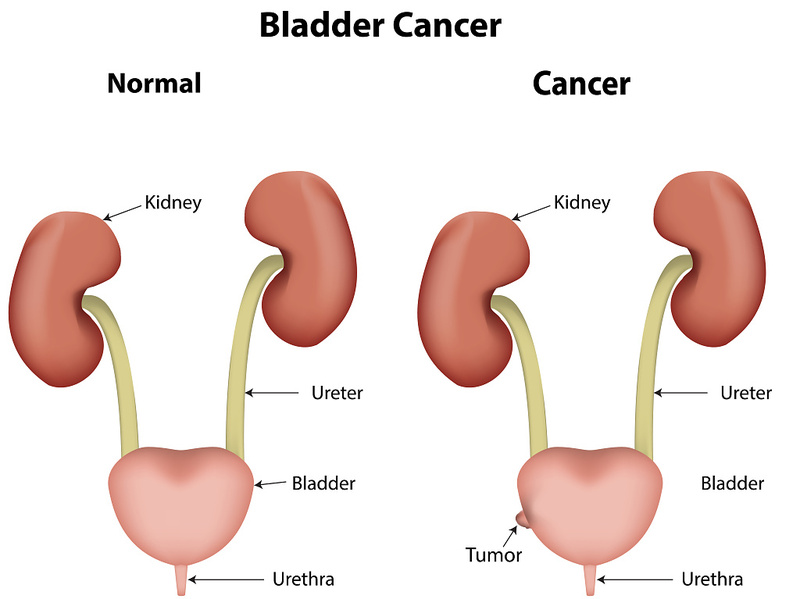 Eighty percent of patients diagnosed with bladder cancer have blood or clots in their urine. Other urinary signs include increased frequency of urination, intermittent hesitancy, urgency, bladder spasms and pain or burning with urination (dysuria), difficulty passing urine and recurrent infections in the urinary tract.